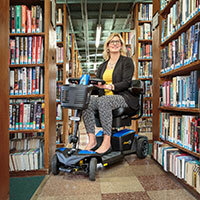 Iam a wheelchair user of many years, and I travel a lot. A lot, a lot, compared to most of my chair-riding brothers and sisters. I fly just under once a month and, of course, there are many issues that come up, not the least of which is, "How do I get off the plane in case of emergency?" 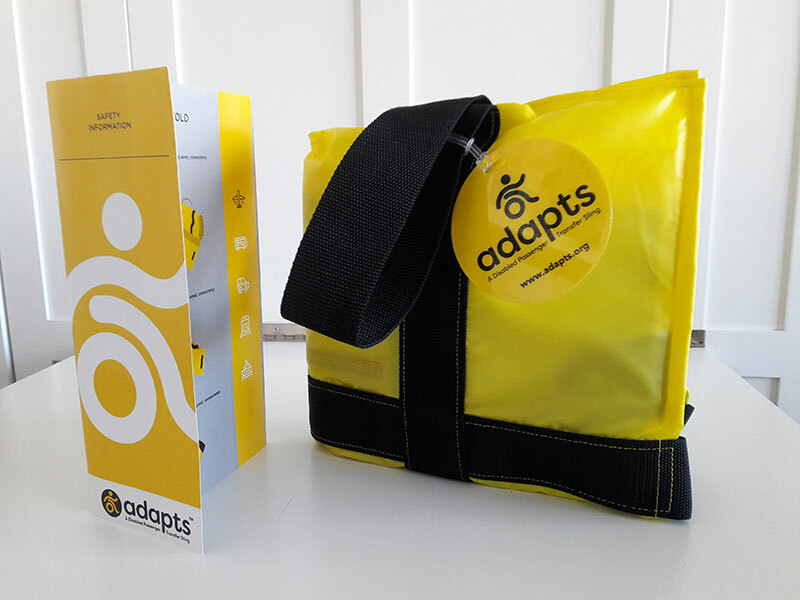 The ADAPTS transfer sling has answered my questions and allayed my concerns on multiple levels. How Can ADAPTS Save Your Life? 1. Everybody knows I need help. I'm sitting on a bright yellow conversation piece for cryinoutloud! 2. People around me have been warned. The yellow mat has given me a reason to recruit people already, some to grab the top handles, some to grab the bottom, or some to opt out ahead of time. My goal is to find people who will volunteer to take me TO the first responders, eliminating the anxious wait for them to find ME. As usual I was the first one on the airplane. I have my little stump speech that I pitch to those who share my aisle. I say, "I know you can't tell, but I'm paralyzed from the waist down. So you can rest assured I won't be trying to step over you to get to the bathroom!" Implicit in that speech is, "so if this plane crashes, you are helping rescue me, right…?" I have always thought, though, "How is this guy going to get me out of here?" When it came time to deplane, I found that because there were 4 other people using the aisle chair on that airplane, it took an hour and 15 minutes before it was my turn. Worried about emergency procedures I asked the flight attendant, "What happens if there are several of us who need an aisle chair to deplane?" Her response was, "Oh, we are trained to take up to 15 disabled people on each flight." Now, that is just chilling. On that particular flight, it took them 75 minutes to deplane 4 clients with disabilities. Per air safety rules, every airline must be able to deplane any passenger in no more than 90 seconds. Let's do the math: the rule says 90 seconds; the facts show that they take 18.75 minutes. That leaves a lot of dead paralyzed people, plus a lot of compromised flight attendants since, as one flight attendant said to me, "We are like the captains. We are the last to leave. We go down with the ship." I said, "Chilling." I meant it. 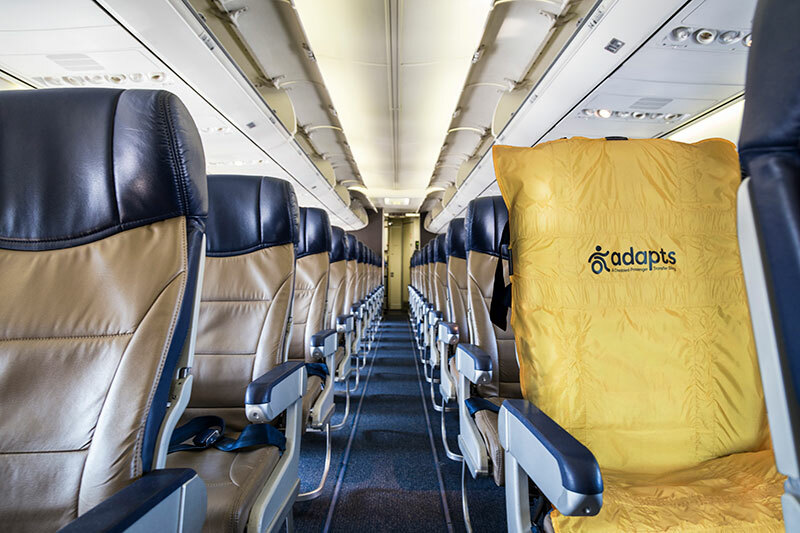 Right now, ADAPTS has a petition going around to demand that airlines make this technology available to passengers with special needs. I encourage you to speak out for passenger safety and sign that petition. 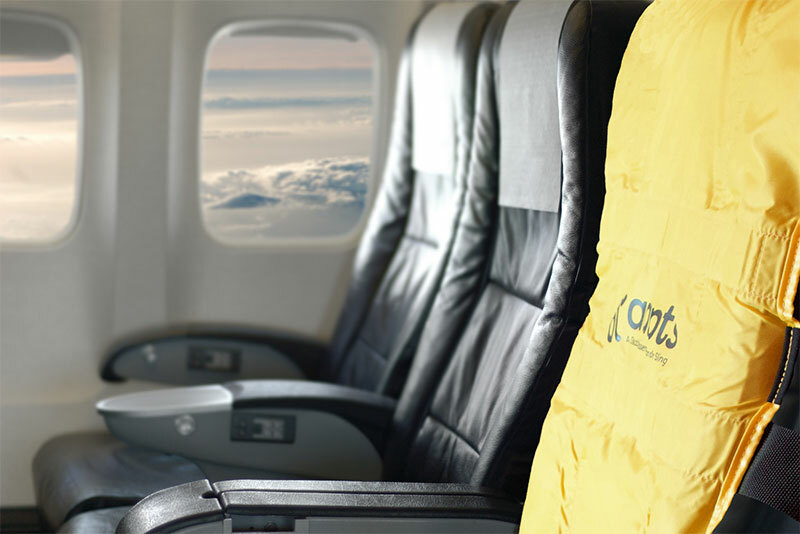 However, even if the airlines don't supply it, I am going to travel with my own ADAPTS product, whether it is on an airplane, a cruise ship, or just if I am staying at a friends' house and I need a reliable exit strategy. Reserve yours at https://www.adapts.org/purchase. For more information about ADAPTS, visit www.adapts.org.